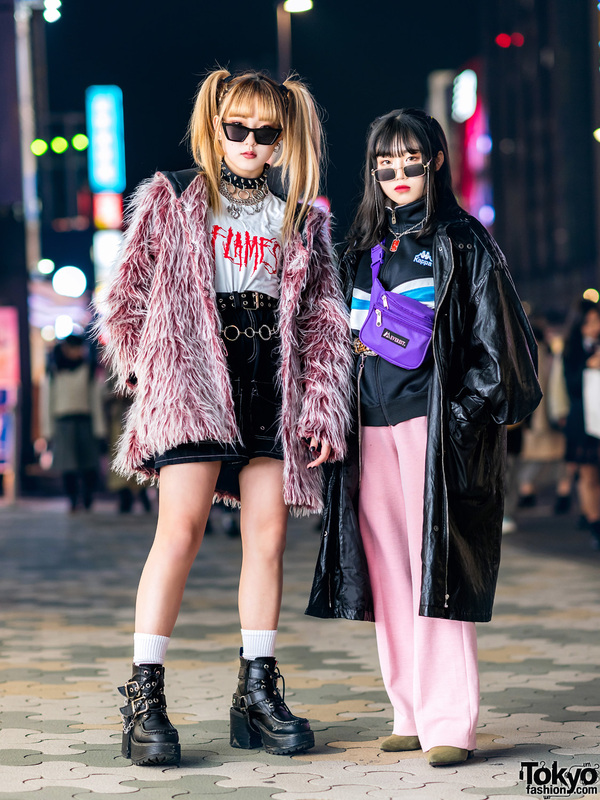 Ashley is an 18-year-old Japanese model and fashion student who we met on the street outside of Vantan Fashion School’s entrance ceremony in Shibuya, Tokyo. We often see Ashley around the streets of Harajuku. 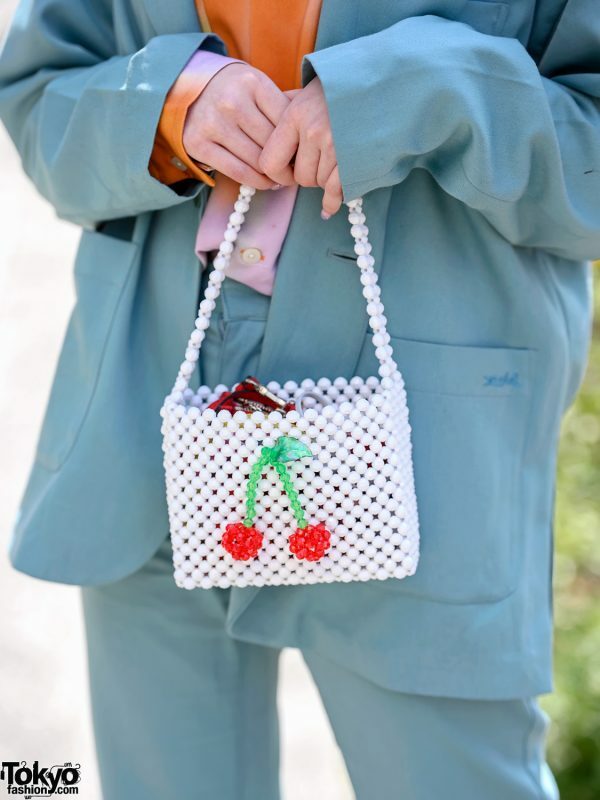 Ashley is wearing a powder blue suit by X-Girl with a small beaded cherry handbag by Susan Alexandra and Yello Japan clear shoes. Ashley is active on Instagram if you’d like to see more of her personal style.